Highland Perthshire’s multi-award winning show fuses the creative talents of Kate Bonney and Simon Hayes (lighting designers) with RJ McConnell and Jon Beales (sound designers) to create an outdoor experience that will set your imagination alight. With dazzling visuals and innovative design set against an original music score, including a new orchestral piece, explore the stunning autumn woodland setting of Forestry Commission Scotland’s Faskally Wood near Pitlochry. Using the forest as a natural backdrop, you will experience a lighting show that is, quite simply, out of this world. 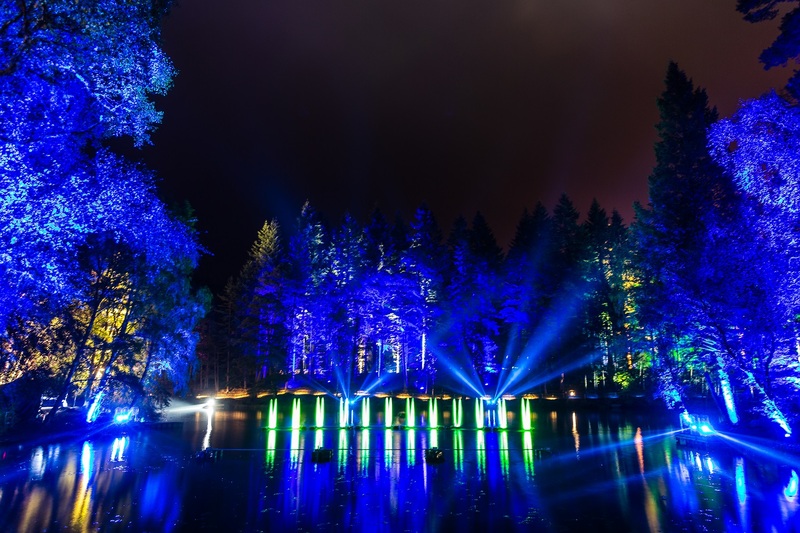 The Enchanted Forest is renowned for being Scotland’s premier sound and light experience and attracted over 75,000 visitors in 2017. 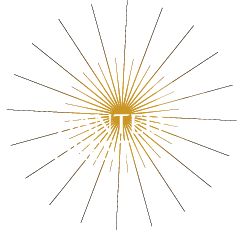 The event has swept the board in recent years at a number of prestigious award ceremonies including Best Outdoor Festival at the Scottish Outdoor & Leisure Awards 2017, Best Cultural Event at the UK Event Awards 2016, Scottish Rural Award for Tourism & Hospitality in 2016, Scottish Thistle Award for Best event in 2015, the Event Management Grand Prix, and Best Cultural Event at the Scottish Event Awards. Every year our talented creative team start with a blank canvas of the natural surroundings of Faskally Wood to develop an illuminating sound and light show that dazzles tens of thousands of visitors. The Enchanted Forest returns to Faskally Wood this Autumn with a wild and wonderful event which is set to reveal the wonders of the natural world by night. Inspired by the hidden beauty of Highland Perthshire’s wild woods and their inhabitants, our talented creative team is planning a spectacular event that combines breathtaking visuals, state-of the-art technologies and a rousing music score that fuses contemporary with traditional. 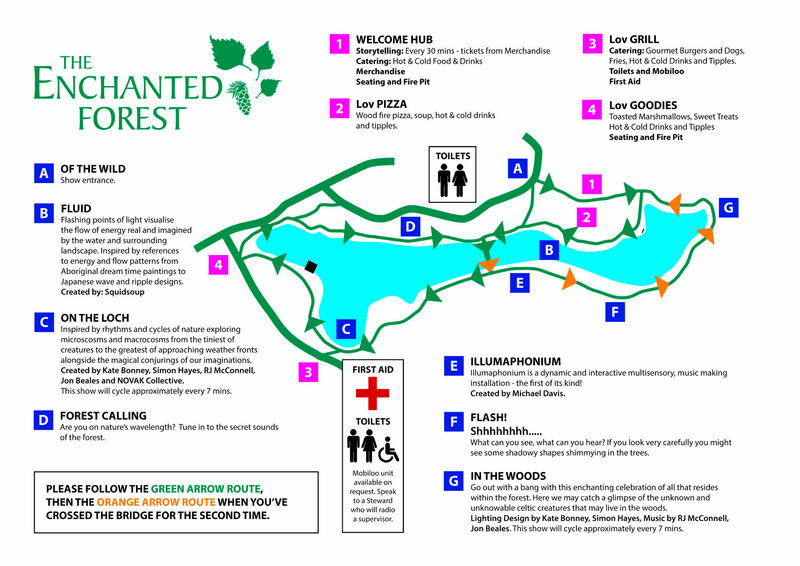 Visitors will follow the winding trail past mysterious Loch Dunmore, deeper into the woods, to watch them come alive after dark with sights, sounds and scents guaranteed to enchant the senses and surprise curious minds. Keep your eyes and ears wide open as you move around the forest because you never know what might be lurking in the woods……. The Enchanted Forest is brought to you by the multi-award-winning creative team of Zoë Squair as creative producer, Kate Bonney and Simon Hayes as lighting designers, and RJ McConnell and Jon Beales providing sound design and composition. 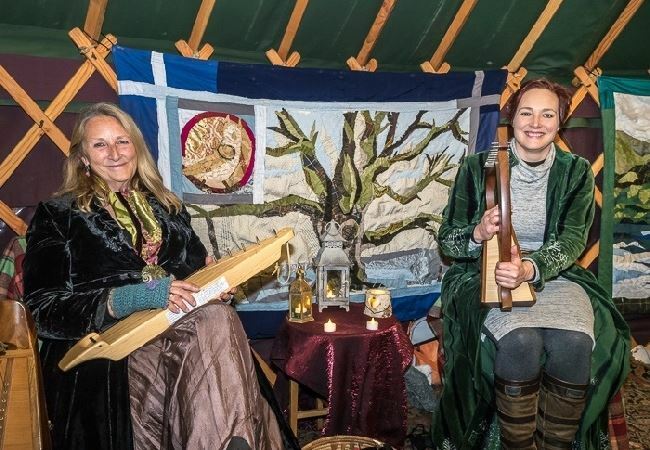 Back due to popular demand, our storytelling yurt will be on site again for 2018 with our two in house story tellers Claire and Lindsey enchanting the crowds with their wistful tales. This year, our yurt will be a little bit bigger so we can tell more stories to many more children and parents. However, to ensure fair pricing, we still can’t fit everyone in so if you want to listen to an enchanting story you will be charged a nominal entry fee of just £1. 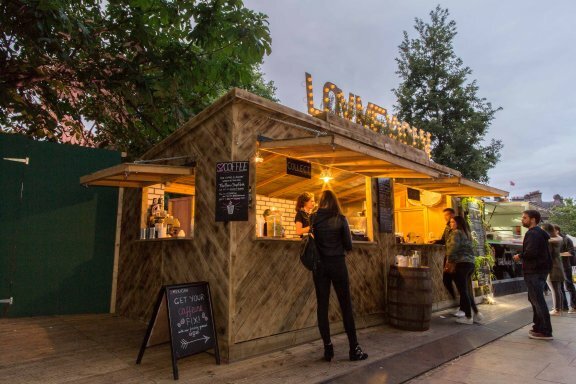 We’re very excited to be working with local event catering firm, Lov Events, who’ve cooked up a perfect plateful for those visitors who fancy having their dinner, or even just a snack, in the great outdoors of The Enchanted Forest.